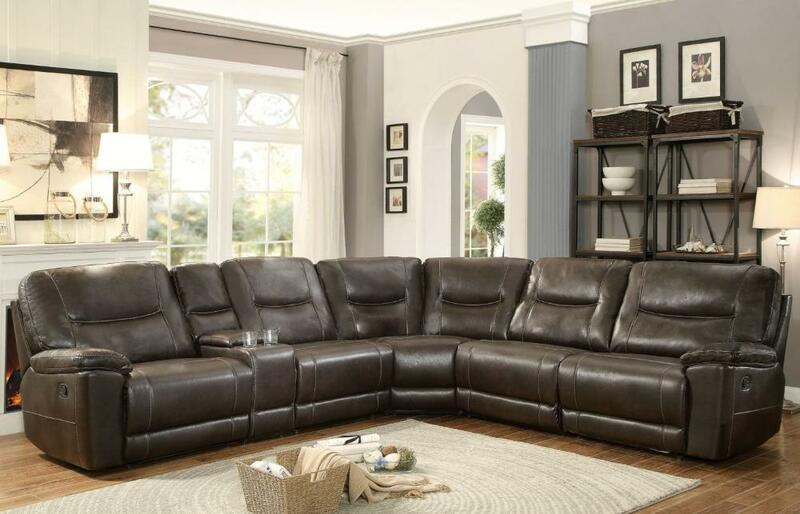 With a configuration options that allow for placement that is perfect for your space, the Columbus Collection will be a welcome addition to your living room. 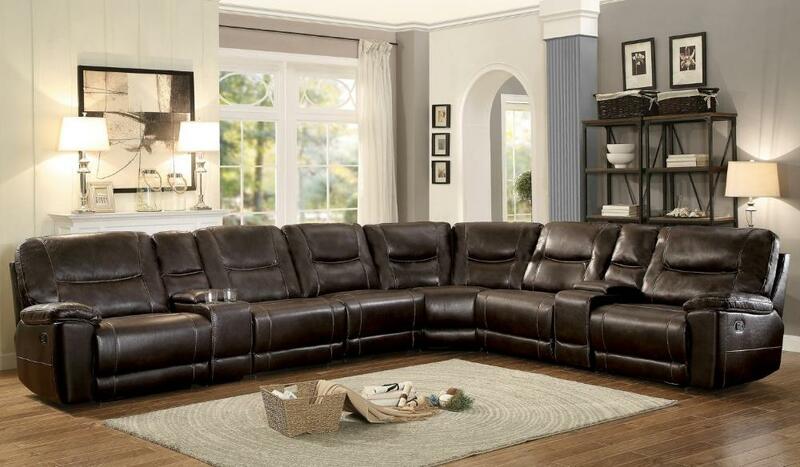 Ample seating is covered in either dark brown breathable faux leather or cobblestone fabric, resulting in a pleasurable seating experience. Contrast stitching furthers the transitional look. Bookending this substantially sized seating group are the left or right end units that are offered as reclining chair or push back chaise. Armless chair, console unit, corner seat, and armless reclining chair make up the middle part of this sectional offering. 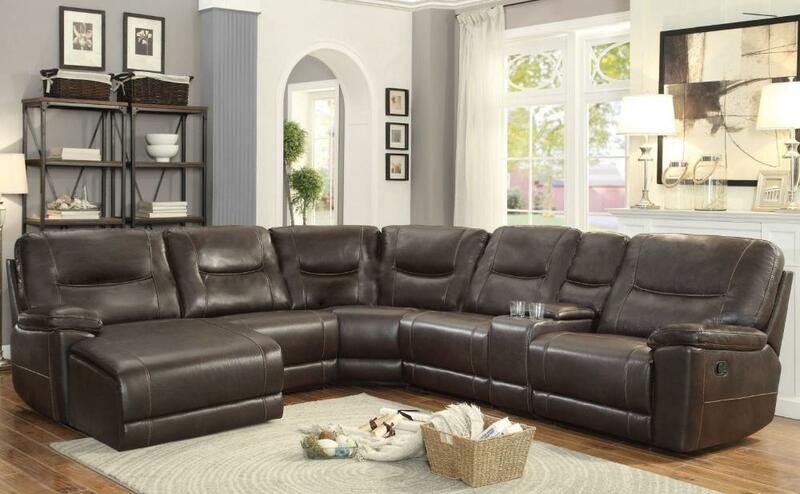 FEATURES: Dark Brown / Cobblestone Color ~ Transitional / Traditional Style ~ Stitching Accent ~ Breathable Faux Leather / 100% Polyester Cover ~ Configurable To Needs.